Of course, interest rates are just one cost that must be factored into the profit equation, along with production, processes, warehousing, delivery, services, etc. This makes it essential that you choose the right method for capturing cost inputs to assess the true cost of doing business. This includes direct, indirect, fixed and variable costs. There are several different cost allocation methods to choose from. Businesses in different industries tend to find that some methods are better than others for capturing the appropriate costs in their operating environment. One common method is referred to as activity-based costing, or ABC. This method attempts to account for the complexity of specific products and cross-subsidizations to correctly allocate indirect costs. As manufacturing and production complexity has grown, so too has ABC. The ABC method involves looking at indirect activities and assigning their activity costs to all products or services based on their consumption. However, there is a growing number of non-value-added costs that don’t fit within either the fixed or variable category. Fortunately, a new cost allocation method has been developed that helps solve this problem. In a recent article on CFO.com1, Andrei Perumal and Stephen A. Wilson, the co-founders of Wilson Perumal, describe square root costing, or SRC. This is the only costing method that incorporates “complexity costs” that are driven by variety, like SG&A and manufacturing overhead, into the costing equation. SRC corrects the cross-subsidizations that have plagued ABC and other standard costing methods for years. This method is less cumbersome, less resource-intensive and faster than the ABC method. Complexity costs are costs that have been incurred with more variety in SG&A and overhead from complicated processes with more product segments, channels, regulations and technology to satisfy customer demands. Many feel that assigning SG&A and overhead to specific products is too difficult, or that these costs are too far removed from a given product. The belief with square root costing is that profitability should be assessed down to the operating profit line. The key to understanding complexity costs is understanding how these costs behave. Certain variable costs (such as demand) are not proportional with volume; however, studies have shown that their costs tend to follow a square root of a volume relationship. In other words, the cost is proportional to the square root of each product’s volume. By understanding these relationships within a cost method, square root costing can improve the accuracy of costing values and correct for the cross-subsidizations that occur. An inability to prepare budgets with costs that are realistic and comprehensive. An inability to truly assess cost savings (or synergies) in a merger/acquisition candidate. A misunderstanding of the real cost drivers and/or the cost impact of new products and services and their impact on current products. Obtaining a clear understanding of true product and service costs and customer profitability. Increased clarity in terms of what products and services are making money. The ability to set accurate pricing with knowledge of the real costs of products and services. The ability to clearly devise profit-generating growth strategies. It’s essential that businesses choose the right cost allocation method for capturing cost inputs to assess the true cost of doing business. A new cost allocation method has been developed that incorporates “complexity costs” that are driven by variety, like SG&A and manufacturing overhead, into the costing equation. Square root costing (SRC) corrects the cross-subsidizations that have plagued other standard costing methods for years. 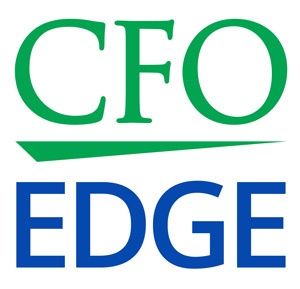 A part-time CFO or project CFO from a CFO services firm can help you implement square root costing at your company.